If you’re buying generic, non-organic pet food, your dog’s health can suffer. Did you know that most brands of dog food contain artificial flavors, MSG, food dye, and unhealthy preservatives? This can cause serious damage to your pet’s liver, skin, stomach, and more. It can also lead to cancer and other serious health issues. If an ingredient sounds strange and unhealthy, it probably is! Extra ingredients should not be added to quality pet food. Make sure that you’re avoiding the traditional dog food brands and, instead, choose a healthy, fresh, and organic option. Premium pet food offers many benefits and can improve your dog’s overall health. Food that has good quality meats, high levels of protein, and no chemicals is easy for your dog to digest. This can mean little to no diarrhea, vomiting, and bloating after eating. It can also eliminate digestive disorders completely. This can make a huge difference in your pet’s life. Consuming organic dog food can also help dogs fix skin and allergy issues. If you’ve tried a lot of remedies and haven’t had luck fixing your dog’s skin problems, it may be time to switch dog foods. Stop buying regular dog food at the grocery store and switch to a premium brand that is full of nutrients. Over time, you may start to see the skin issues go away. Organic dog food can also allow your dog to live a healthy and more enjoyable life. Think about the foods that you put inside your own body. When you eat healthily, you likely feel a lot better, right? It’s the same for your furry best friend! Many pet owners are switching to organic foods because of the ingredients. Natural and organic foods don’t have extra unwanted ingredients. Instead, you’ll get healthy vegetables and meats. This grain-free pet food is not only good for your pet’s health, but it tastes great, too. Premium pet food brands offer a variety of flavors to satisfy the taste buds of all dogs. 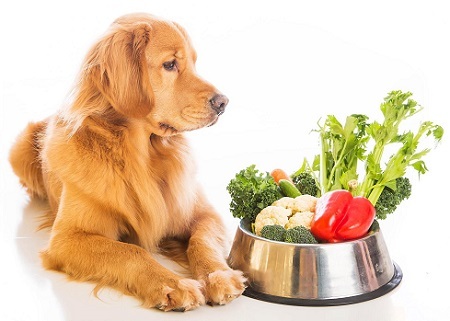 If you want to help your pet live a better life, it’s a good idea to consider switching to a more healthy food option. Organic dog food from pet-friendly pet food stores like Brinkmann’s True Value offers a number of benefits and can allow your dog to feel and look better each day. Fortunately for Fido, there are many great organic pet food brands to choose from!